Greyson is a sateen melange featuring subtle tonal striations for a cool contemporary look. Because it adds interest and depth to the top-of-bed without a traditional patterned design, we call Greyson our "non-solid solid as well as our "print without a print." Greyson is a complement to Jackson, which uses the same fabric as a thick double-stripe applique. Greyson also pairs beautifully with various shades of grey, blue, and champagne throughout the Matouk collection. 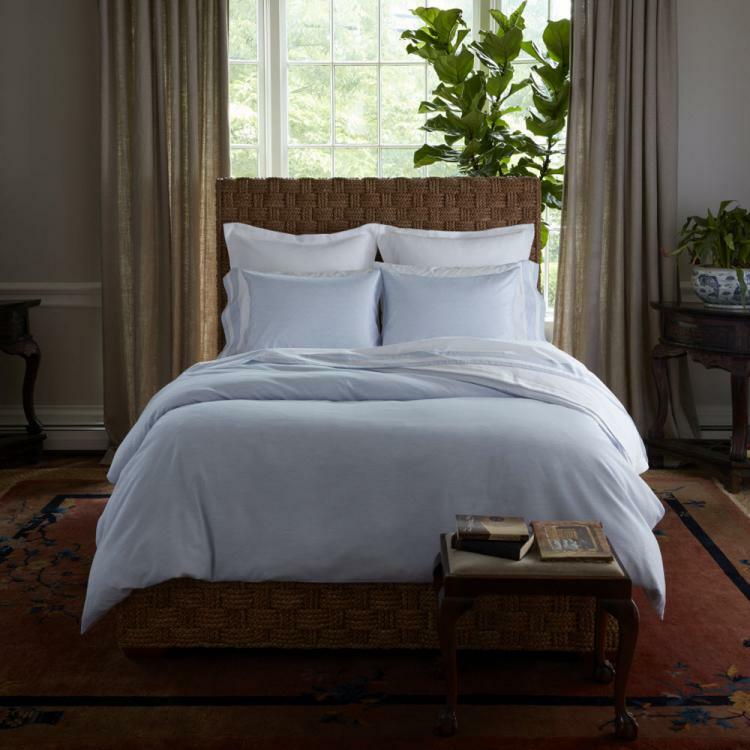 This collection is made in the USA of fabric that is a 300 thread count cotton sateen woven in Italy.